SYNOPSIS: Samantha Mather knew her family’s connection to the infamous Salem Witch Trials might pose obstacles to an active social life. But having survived one curse, she never thought she’d find herself at the center of a new one. So I devoured How to Hang a Witch and loved every second of it. When I saw that Adriana Mather had a second book, I didn’t even hesitate to order it, and as soon as it arrived, I sunk my teeth into it. I didn’t read a single thing about this book before buying it, so I was beyond thrilled to see that we got to continue on with Sam’s story. This is a great example of a sequel not ruining all that fantastic groundwork laid in the first novel. Sam’s dad is back in action, and he is actually a character I thoroughly enjoy. The setup between the Meriwethers and the Mathers is adorable, too, and I am impressed with how Mather handled the whole Jaxon/Elijah/Sam triangle from the first. Speaking of, having Elijah pop up made me way happier than I can say. For reals, the interactions between him and Sam are fantastic. While the villain of this book was not surprising or shocking, the read is a super fun journey to undertake again. There is magic, romance, teens with their issues, friendship and personal growth, so Haunting the Deep hit all the same highs as the predecessor, which is rare. It’s cool that the Descendants are back, and we get to learn a bit more about them here, too. Salem is also the perfect town for the backdrop for this world that has been woven, so that is really cool. 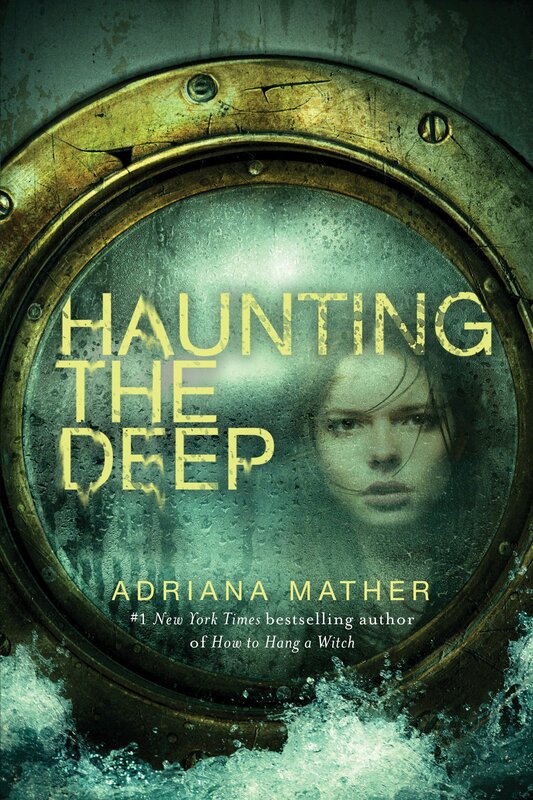 Adriana Mather writes well, has given us characters to love and a world eager to be returned to, and there is not really much more you can ask for. There is heart, humour and fun to be had. Again, I cannot recommend this book highly enough. Go out. Read them now. You won’t regret it! SYNOPSIS: Salem, Massachusetts is the site of the infamous witch trials and the new home of Samantha Mather. Recently transplanted from New York City, Sam and her stepmother are not exactly welcomed with open arms. Sam is the descendant of Cotton Mather, one of the men responsible for those trials and almost immediately, she becomes the enemy of a group of girls who call themselves The Descendants. And guess who their ancestors were? I stumbled on this randomly recently, thought it looked alright, bought it, let it languish. I mean really, isn’t that what readers do? Then I saw it in my library and was like “it’s time”, and man, I have no regrets. This book is absolutely fantastic! It is so much more than I thought it would be, and it really does tick like all my boxes. I think one of the blurbs was something like “Mean Girls meets the Salem Witch Trials”, and dammit, it really is just like that. I need to back up a minute and find a way to articulate myself. There is just so much going for this book that had me thrilled every step of the way. Uhm, let’s see… I really enjoyed the characters. They are not super deep characters or anything, but they all have their little quirks and things, and they really give the story some oomph. The author gives a great, authentic vibe throughout the book, too. The story flows and doesn’t ever feel forced or unnatural. I was super swept up by this, as you can tell. Everything just worked in it, and I particularly enjoyed Elijah’s character, and Sam, too, is a fun protagonist to follow. Mrs Meriwether is a lovely lady, and Jaxon (despite that spelling) is worth reading about. The book is steeped in history, but not like historical fiction. It has most definitely been modernised, and you can tell the author has put a lot of research and time into the history (not surprising when you see she is a fourteenth generation Mather). 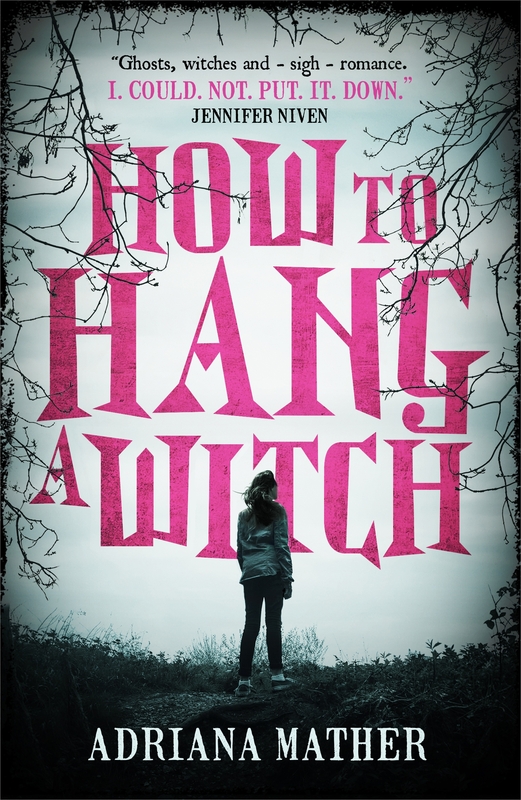 I think that How to Hang a Witch has it all. We have romance, fun, the supernatural, a mystery, magic, everything you would need. I really felt like a young kid reading this again. It’s awesome because while this is probably directed at young adults, it totally works for adults, too. The book speaks of bullying and alienation and other themes, too, but I am really not going to get smack involved with discussing the hell out of that. Know that there are a lot of themes in this and they are all handled really well. The book is really well written with some super fun characters and a great story to sink your teeth into. I raced through this and was heartbroken when I got to the end because, well, then it was over. I can see how this is something I am going to revisit again in the future. I loved this and highly recommend it, and will calm down now and put a sock in it.